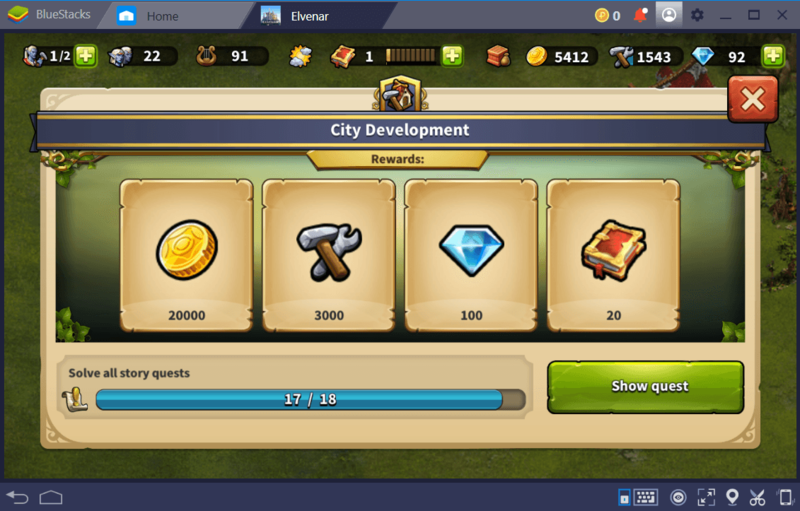 It is very common for most City building simulation games to require a huge amount of time for players in order to complete a single quest. In Clash of Clans, for instance, the longest wait time for a single upgrade will take you up to 14 days! That is if you do not consider purchasing premium currencies from their in-game shop. Elvenar is not an exception at all. The game follows the same concept of Empire Building system but offers a gamer-friendly approach. Unlike most MMO Strategy games, Elvenar features a Multiplayer function but instead of engaging you in a PvP battle, the game introduces a fascinating Fellowship system where players are encouraged to help each other to progress quickly. Speaking of Progression, the first phase of the game is probably the most time consuming and for the lack of a better term, the most boring chapter of Elvenar. Now don’t take this the wrong way, we have experienced the same thing with other games that belong to the same category. We completely understand the fact that every player should start from the very scratch. In Elvenar, you start off the game by building your own town (the basic rule of city building simulation). Take note that nobody started The Sims with a fully unlocked Metropolis or with a fully-furnished house. The same thing goes with Elvenar. The first phase of the game will mostly focus on building residences, workshops, and factories. It will also ask you to conduct a series of research to unlock features on your Technology Tree. You will also be asked to explore the world map, scout nearby provinces and solve numerous encounters. 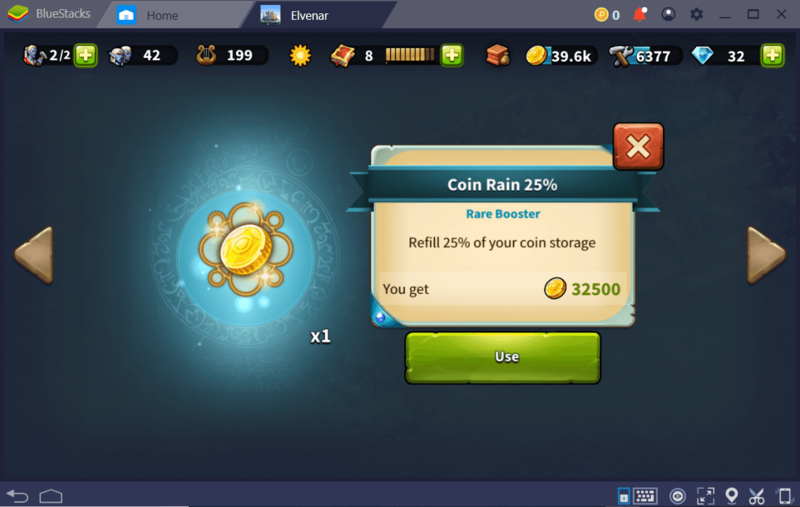 Now allow us to give you a guide on how to progress quickly in this game and how to earn bigger currencies and gather great supplies without costing you real money and time. 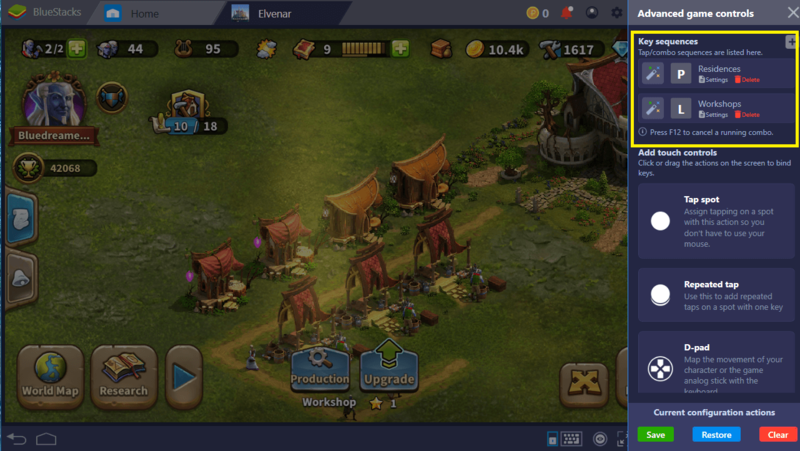 Playing Elvenar on BlueStacks 4 will certainly give you full gaming experience. Aside from the fact that it allows you to play the game in wider (desktop) resolution and better performance, BlueStacks 4 has many features you can use for your own advantage. One of which is the Combo Key feature. Basically, this feature allows you to record all your actions and perform them repeatedly using a single shortcut key. Here’s a typical scenario in Elvenar. After placing Residences on your town, you have to collect all the taxes from time to time by clicking on each building manually. Let us say you managed to build a stronghold with 20 or more Residences. You need to click them all in order to gather the taxes and it doesn’t even include the time you spend gathering resources from workshops, barracks and factories. This is where the Combo Key feature comes handy. Click on the Combo Key icon on the lower taskbar of BlueStacks 4 screen (the keyboard icon). This will generate an extra panel that will give you access to the Advanced Game Controls. Click the Plus (+) icon and hit the Start button to start recording. We suggest you create separate recordings for tax collection, workshops and factories. Each recording has an assigned key of your choice. So when the taxes are ready, you just need to press the key and they will be collected automatically. It feels like creating your own Auto-mode in the game. A quest line is basically a set of quests that you need to complete in a sequential manner. If you are able to complete all the given quests, you will earn great rewards in return. Interestingly, there are three types of Quests in Elvenar regardless of your chosen race. The Mainline Quests are parts of the main campaign. Each era or chapter features a series of quests to undertake with prizes that can go up to 200,000 Gold Coins and up to 15,000 worth of supplies. Completing the first questline on the Arrival era for example will grant you an instant 20,000 Gold Coins. From time to time, you will also encounter “Repeatable Quests” and as what the term suggests, these are quests that occur often and can be taken repeatedly. It is also interesting to note that unlike the Mainline Quests, Repeatable Quests are something you can decline. Of course, if you are aiming to collect more coins, you can always take advantage of these quests. Remember how satisfying it is when you’ve managed to complete a special quest and gathered some seasonal limited edition items in casual games like Farmville, Restaurant City and other similar games? Well, Elvenar will give you the same excitement. Occasionally, you will encounter special quests that will not just allow you to earn bigger prizes but also to obtain special limited buildings and items. These culture items will not provide any resources but they have the ability to reduce the production time and also to dramatically increase taxes from Residences. 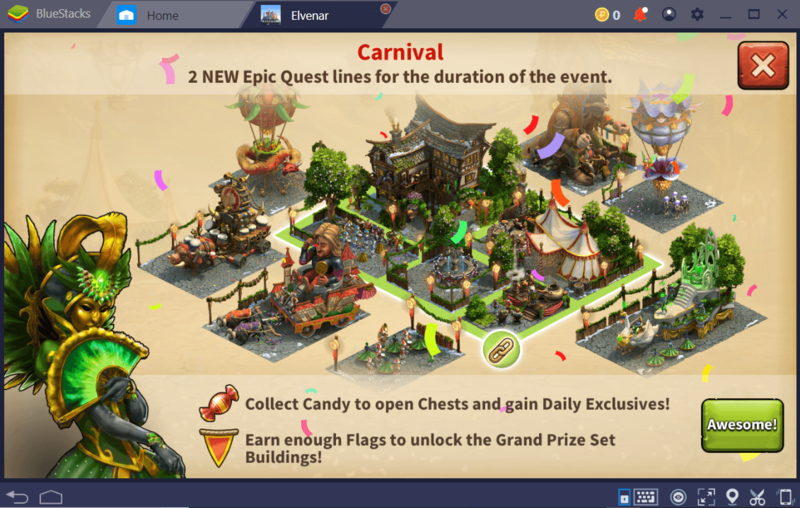 The Carnival Quest for example allows you to earn multiple prizes. You will be asked to collect candies and participate in a treasure chest minigame. Random chests will be presented and you just need to pick one to reveal what’s inside. The rewards are in the form of Flags (collect them to obtain the special building), candies, coins, boosters, enchantments and many more. The key for a faster progression in Elvenar is to reduce the production and Upgrade time. Some production and upgrades will take more than an hour to complete and it only forces you to wait unless you have an ample amount of diamonds to spend and expedite the process. Luckily, players can take advantage of the Boosters and various enchantments. You can gain access to Boosted goods and factories when the Magic Academy is unlocked. Boosters and Enchantments can also be obtained from special quests and they often come in different rarities (from common to rare). Boosters are probably the best and most effective of them all. They dramatically reduce production, building and scouting time. Just access the building where you want to reduce time and it will expedite the process. A one hour long production will only take a second with the help of these boosters. An MMO Strategy without a PvP Battle system? Well, that’s definitely a unique approach for Elvenar and it is surprisingly effective. 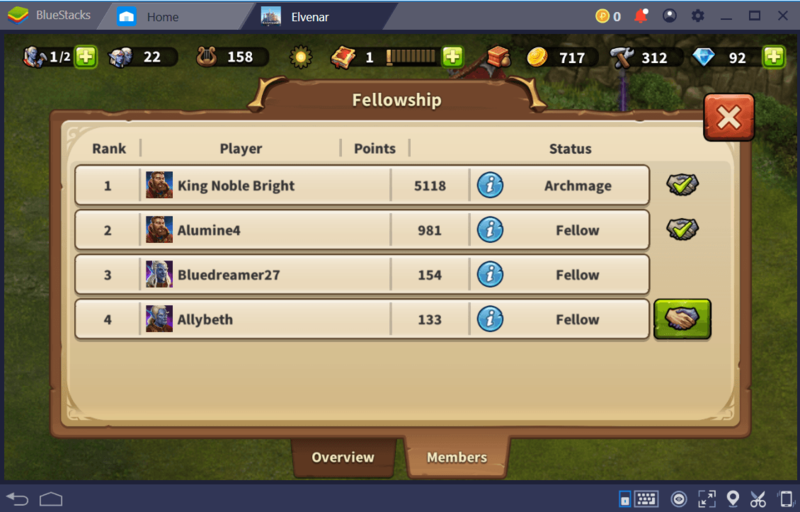 The game features a Fellowship system. It’s almost similar to a standard Guild system but instead of engaging in PvP battles, the main purpose of the group is to help one another. You can ask for help from other members to either supply you with coins or help you reduce the production time of certain buildings. 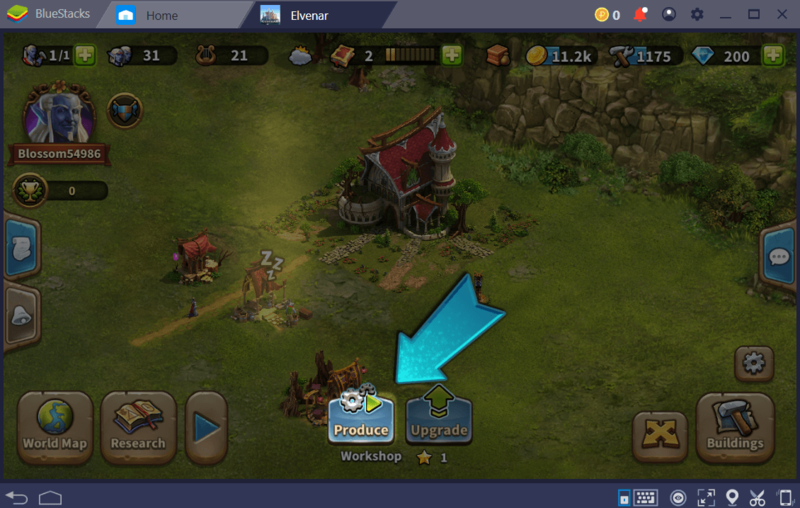 Normally, for MMO Strategy games, BlueStacks Multi-Instance feature can be extremely useful. You can create new instances and form allies to help you in battle. For Elvenar, however, the lack of PvP battle system prevents you from using the Multi-Instance feature in its full potential. 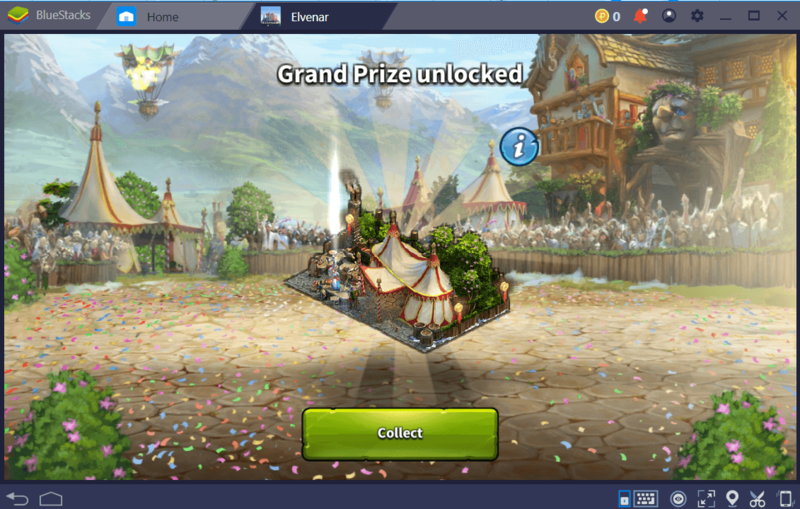 But if you want to explore both races (humans and elves), you can always take advantage of BlueStacks Multi-Instance function to play Elvenar from multiple accounts and compare which race suits you best. 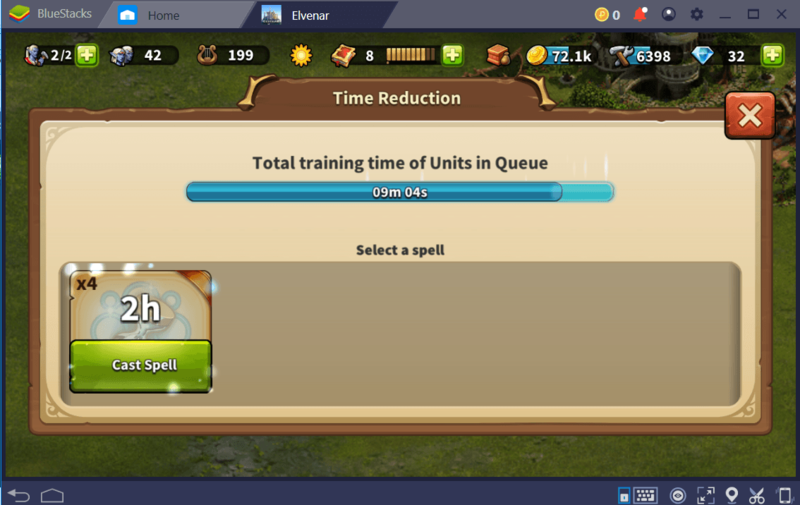 So now that you have the idea on how to progress faster in this game, feel free to explore the magical world of Elvenar and engage yourself in a wonderful journey. 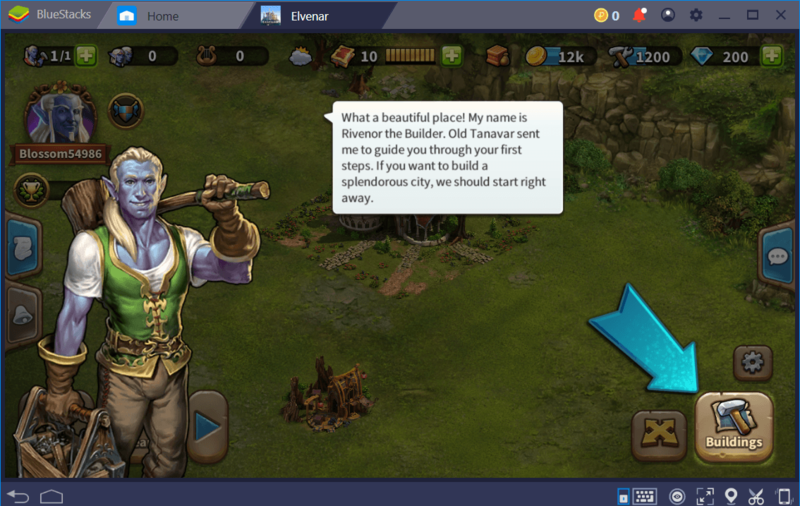 You can install Elvenar on your BlueStacks 4 and let your epic adventure begin. Also don’t forget to check our Comprehensive Beginner’s Guide to Elvenar and our Advanced Tips and Tricks for Elvenar.